What drew you to ManTech? I needed a job and ManTech made me a good offer. However, what keeps me here, despite a heinous commute, is the company leadership, the people and the camaraderie within the business units I support. I’ve never had a job where I’ve laughed so much while working so hard. What is or has been the most unusual or interesting job you’ve ever had? Pulling trap at a gun range. It was a great way to spend time with my dad and his buddies on a Friday night while in high school. If you could pick one ManTech mission or milestone to turn into a book or movie, what would it be? The activity and conversations in a proposal war room rival anything that could happen at Dunder Mifflin (yes, the paper sales company featured in the TV series The Office). What advice do you have for prospective ManTech candidates? Be prepared to work hard. Don’t be afraid to speak up if you have an idea. Seek to learn from your co-workers – they have a wealth of knowledge and are willing to share. 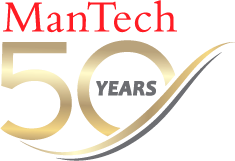 What do you like most about ManTech? The people. My job is really hard sometimes, but working with such dedicated, smart and fun people gets me through to the next proposal. Catherine, Duchess of Cambridge (but only for the jewelry, hats and clothes). Who is your superhero and why? My mom, who was widowed at the age of 61. My dad died of a heart attack, and watching her pick herself up and fashion such an amazing life in the aftermath of that loss has been nothing less than inspiring.